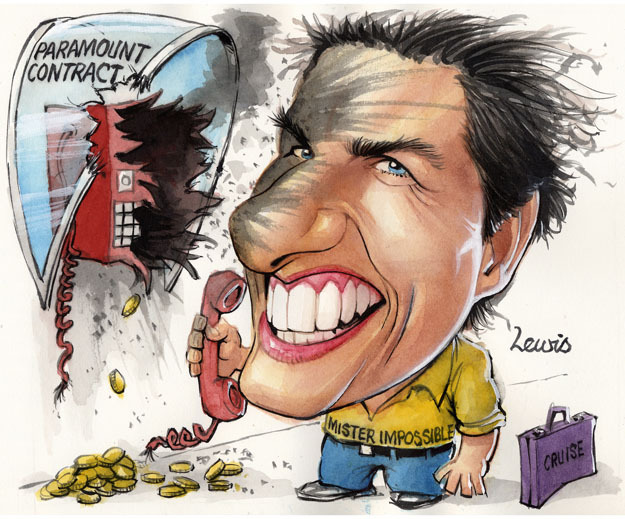 Tom Cruise’s contract with Paramount is terminated in 2006 when company owner Sumner Redstone realises the actor has become box office poison with women. This is reversed a few years later when Cruise’s popularity recovers. This entry was posted in Editorial Portraits and tagged America, celebrities, Cruise, Hollywood, movie star, Tom, Tom Cruise on November 28, 2012 by Art by Peter Lewis.